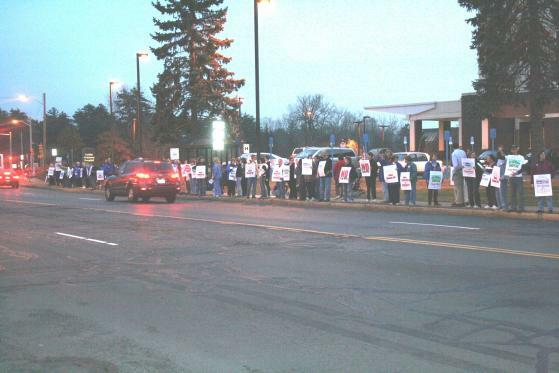 About 150 people turned out for a rally against lay-offs at Cooley Dickinson Hospital in Northampton on November 9. Hospital officials recently said they will soon lay off an unspecified number of workers, including nurses. The officials said the number of lay-offs could be around 10.